Learn the ancient art of shippo (“seven treasures”) to produce works with jewel-like enamel color on a metal or ceramic base. Beginning projects include small boxes and accessories. Experienced students may have a chance to participate in an exhibition in Tokyo. 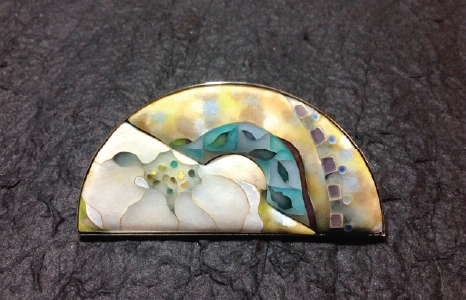 Silver clay works well with enamel colors, creating brilliant works of jewelry art.